The mentoring program is gradually clicking into gear. While the school is involved in exams I have been encouraging the mentors and mentees who joined the program late for a variety of reasons to try and meet at least once before we meet as a group next Tuesday. This has worked well and most students have completed the Student Performer. Again this is showing how important the mentoring relationship could be for these students. While they have gifts and talents and so many positives, a number are clearly lacking social skills, self-confidence or have battles with how to approach their studying. All these points have been collated from the pre-program Survey the students completed and then the Student Performer – a most worthwhile exercise. I try to encourage the mentors with a brief email this week, so thought I would share a longer one as it encompasses a lot of what we are tring to do, as well as some of the issues we are having to deal with in the new technological age of the 21st Century. We meet again on Tuesday 13 November. If you can be there by 10.50 to sign in so we can start at 11.00 am that would be great. We will meet in the Staff Common Room and move from there to an upstairs computer room. We will be given a quick run through of the ementoring component of the program, so both students and mentors will be comfortable with that format. Thereafter, there will be time to spend chatting with your mentee. I would appreciate those who have not completed the Student Profiler/Performer to complete those. We now have 11 mentors matched with 11 mentees and, a real positive, is that there are now 4 girls as part of the group ……. everyone who has completed the online Performer will benefit from a mentoring relationship if they give it their best shot – that is a definite conclusion I have drawn from going through the individual Performers completed thus far. Indeed, the school have done incredibly well to recommend these students for the program. Without the program there are a couple there who could well become more at risk of dropping out because of a total lack of self-confidence or an inability to cope with school academics. Remember: All students are in different spaces. Some are clearly lacking self-confidence, while most could benefit from a 2008 goal getting experience with you. As I have pointed out to some mentors, if you need me to sit with you and your mentee at any time to talk about study skills etc., you have only to ask! Can we exchange mobile numbers? At this stage please do not make arrangements to contact one another via mobile phones. We have the email component for ongoing contact and that’s a way we can monitor the relationship, a must in this program, as that’s our best guarantee of safety for both the mentors and the mentees. As soon as we go beyond these boundaries we become a community-based mentoring program and that has more paperwork, more Police Checks etc. and we don’t want to go through all that. My guess is that once we are through the probationary period, mid-December, we can revisit the mobile phone contacts, which might require parental permission. What about meeting outside of school? 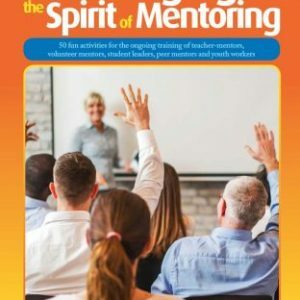 At this stage there should be no contact between the mentors and mentees outside of the time you meet at school and the ementoring component. That is in line with the contracts which the parents have also signed. As things progress, we will be able to revisit this, but nothing can happen without parental permission and that will be obtained after discussion with the School Coordinator. What would you suggest we do between now and the end of the year? Use this time to really get to know as much of your mentee as you can and build that connection. The ‘Getting 2 Know You’ section of the Students’ Manual is designed to help that process. As you drive the early stages of the relationship, consider completing some of those aspects together. However, if your mentee has a specific area they wish to explore with you that’s fine – go with it! 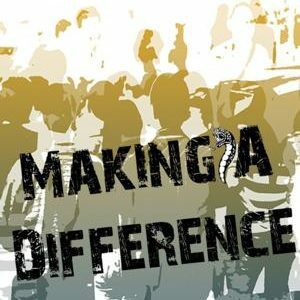 What is the future of the GR8 MATES mentoring program? The program is 100% likely to be expanded to two schools in the Hawkesbury and Penrith areas next year, the focus being on mentoring Year 10 students. Training will begin as soon as term starts and the matching will take place towards the end of Term One. 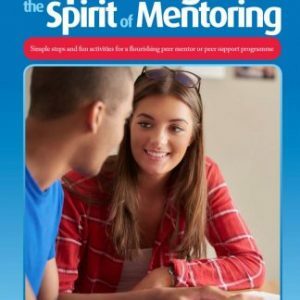 The mentoring relationship will end during Term Four. Will it continue in 2009? We don’t know the answer to this. My personal position is that I won’t take responsibility for the program beyond the pilot unless we can obtain Deductible Gift Recipient Status (DGR Status), which would then possibly result in us being able to go after corporate funding. Ideally, I would like to see something like a 5 year commitment from the Commonwealth Government and corporate sponsors. With that sort of funding we could develop something long-term and sustainable. How can we do that? [a mentor] has expressed a genuine interest in participating in this process. He and I are meeting for coffee after the mentor meeting next Tuesday. We will talk about building community networks and targeting people to join us on a working sub-committee aimed at growing the program, hopefully finding a friendly legal expert prepared to look into acquiring the DGR Status, as it is an Everest climb. There might be a couple of mentors with useful connections who might want to join this initiative. Feel free to chat to me should you be interested. Have a good weekend and don’t hesitate to be in touch whenever you need to do so.